WPM hosts pajama drive benefiting Casey Cares! WPM Real Estate Management properties like 520 Park Apartments, 1901 South Charles Apartments, and Sequoia Manor Apartments are getting in the giving spirit by joining the Kami's Jammies Program. 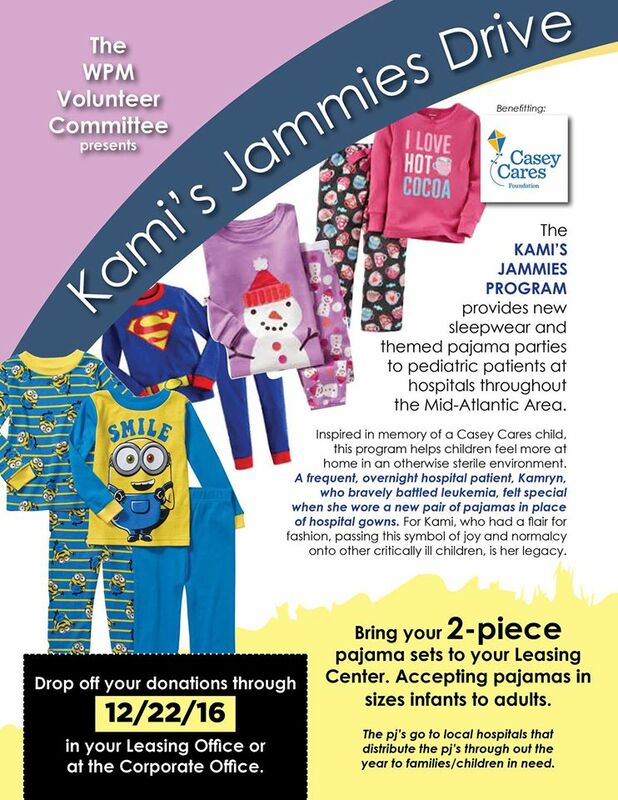 The drive through Casey Cares provides new sleepwear and themed pajama parties to pediatric patients throughout the Mid-Atlantic area. Way to go WPM!